853 started in 2008 as a basic personal blog. I was about to take redundancy and wanted a place where I could show off a bit, and write about things like walking the Capital Ring. But after I attended a council meeting in 2009 and was struck by the barely-disguised contempt councillors were showing for the public – and how this had gone unreported locally – I realised I could use it to follow stories that weren’t being covered elsewhere. The site offers news and opinion and provides a forum for debate on issues concerning Greenwich, Charlton, Blackheath, Woolwich, and the wider south-east London area. I go to council meetings, I read their documents, I put in Freedom of Information requests, and I talk to people. The site has followed issues such as controversial regeneration schemes, bullying in Greenwich Council’s ruling Labour group, local transport worries and the rows surrounding the Olympics in Greenwich Park. 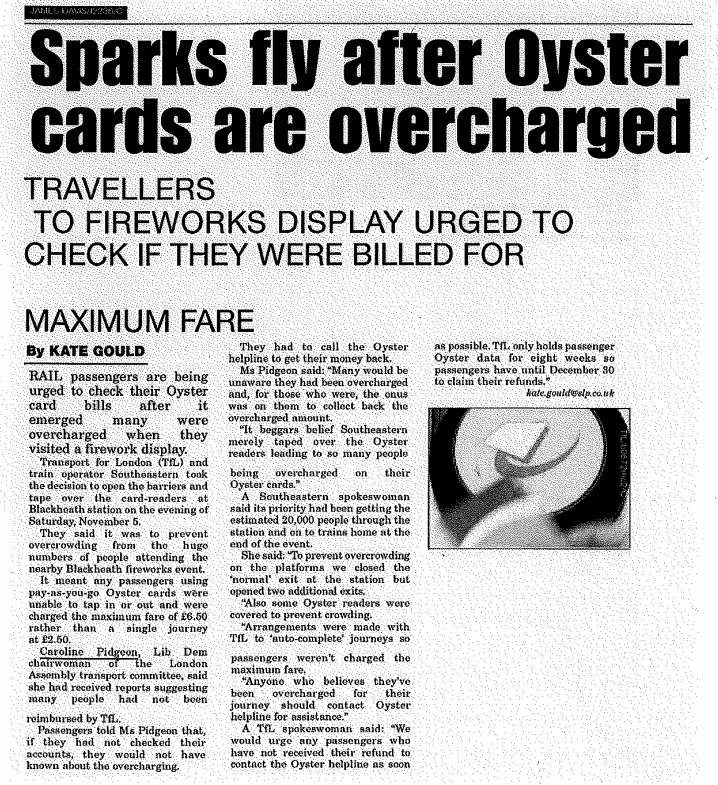 853 also exposed Greenwich Council’s mishandling of the refurbishment of Greenwich & Woolwich foot tunnels, followed the failure of a plan to pedestrianise Greenwich town centre, tracked the aftermath of riots in Woolwich and kept up with the legal tussles surrounding the On Blackheath music festival. It also revealed how a potential Labour candidate for the council had helped found a right-wing party in Scotland, and detailed Greenwich Council’s refusal to meet the London mayor’s cycling commissioner when it was the only borough doing so.